The Chicago Prize is a competition to award a $10 million grant to support community investment on Chicago’s South and/or West Side. Imagine you have $10 million to build something vital in your community. Would you repurpose buildings, reimagine a park, build vibrant affordable housing, revitalize commercial corridors or advance another innovative idea? What would you create for your community? 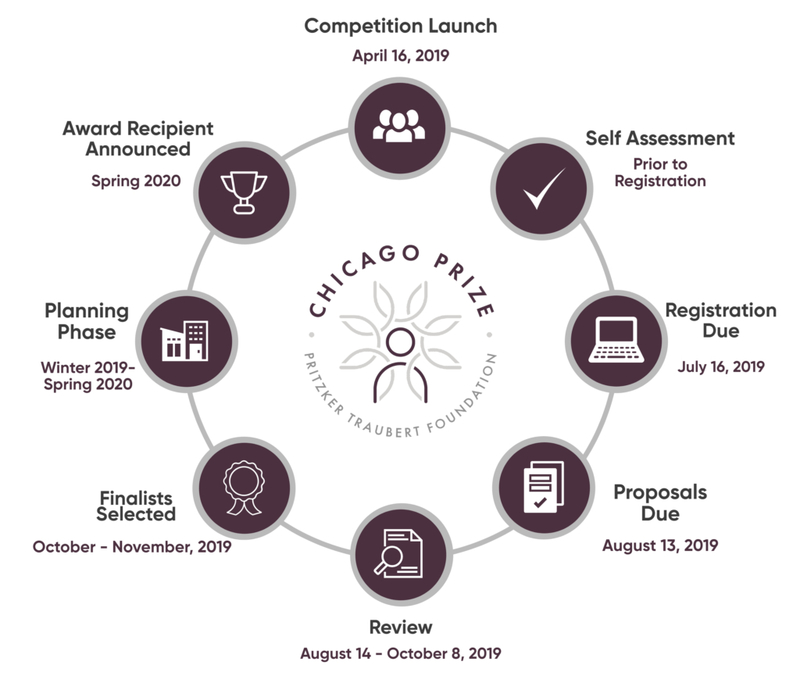 Visit ChicagoPrize.org to learn more and register to apply by July 16, 2019. We know that addressing systemic poverty, economic exclusion, and inequity is complex and challenging. We are ready to do our part by contributing our resources—passion, experience, and capital—through a process that is fair, open, and transparent to help enable more individuals and communities in Chicago to thrive. Successful teams will be collaborative, led by community-based nonprofit organizations that assemble or include the right neighborhood partners and team members with the applicable development, financial and project management expertise needed to successfully implement a multi-million-dollar, comprehensive neighborhood initiative. We will award $100,000 planning grants and provide technical assistance to four finalist teams to help each team further develop its initiative’s vision, feasibility, and potential impact. Finalists will be invited to present to an audience of stakeholders and potential investors. One finalist will be selected to receive the $10 million grant. Learn more and register to apply by July 16, 2019 at ChicagoPrize.org. Want to help us spread the word about Chicago Prize to your network? Download our Outreach Toolkit to find sample newsletter and social media blurbs and graphics.